Jeepers – look at all the peepers! 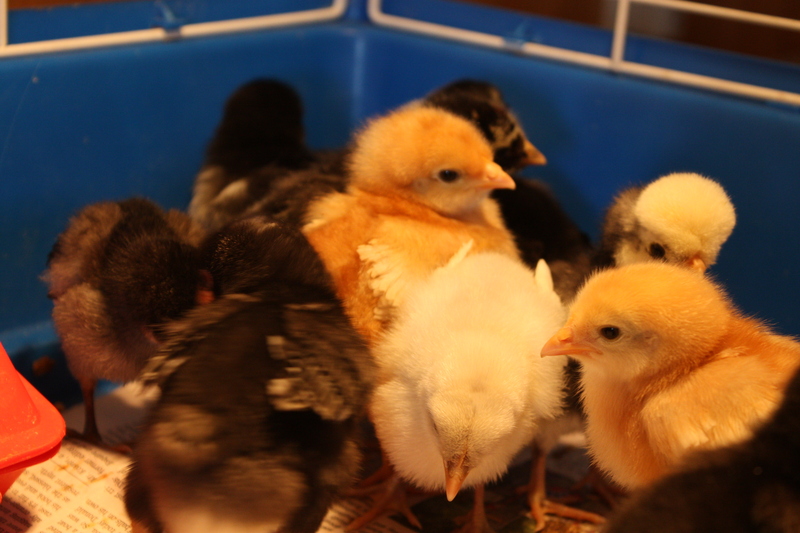 . . . .
New baby chicks are a sure sign of spring, and I could not resist buying a short dozen of these little beauties. 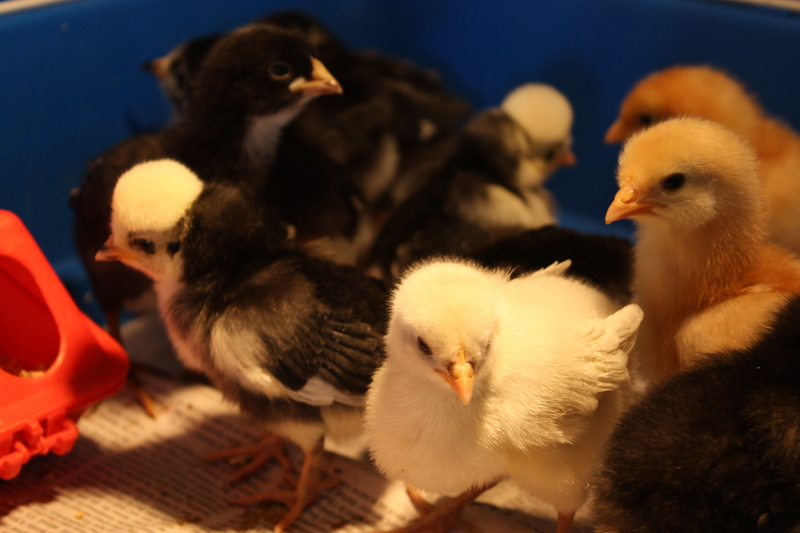 None of our animal menagerie “produce” anything, but the plan for these chicks is to have some farm fresh eggs a few months from now. Our experiment raising guinea fowl has been riotous fun and an educational experience, however we do not attempt to eat them or their eggs, when we can find them. Any serious country person needs to raise a few animals for eh, er . . . Consumption. My grandmother would get 100 baby chicks each spring and kept our chicken hotel full of laying hens which produced such a volume of eggs that she sold them by the crate full. I’m not sure I am going to follow in her footsteps, but I couldn’t see any harm in putting my toe in the water for the sake of a few fresh eggs. Besides, 20 guinea fowl hardly make a dent in the newly refurbished chicken hotel. “Hey, it’s a little crowded in this corner – make way!” . . . .
We prepared a couple dozen pickled beet eggs for Easter dinner tomorrow, and next year with any luck we will be pickling eggs from our little chickens. Can’t wait. This entry was posted in Wildlife blog and tagged laying hens by bygeorge. Bookmark the permalink.